FunctionWillem Trommel. Ph.D. from Leiden University. 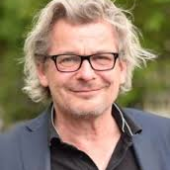 Professor of Public Policy and Governance at VU University Amsterdam. There is a growing belief that welfare policy should be developed and organised on the local level, close to the manifestion of welfare issues. Very plausible. However, it is also believed that the (globalizing) world would be better off with welfare policies ‘beyond borders’. Also very reasonable. Can we make sense of these paradoxical expectations by visualizing possible ‘glocal’ welfare landscapes? This project aims to rethink Abram De Swaan’s famous work on the birth and development of national welfare states. For that purpose, two activities are planned. First, people from different societal spheres (policy, art, business, eteceteras) are brought together in four ’roundtable meetings’ to discuss images of future welfare landscapes. The thus collected materials will be reworked and then published in a nicely edited book for a general public. Brandsen, T., Trommel, W., B. Verschueren (2017), The State and the Reconstruction of Civil Society. International Review of Administrative Sciences. Online first, 2015.